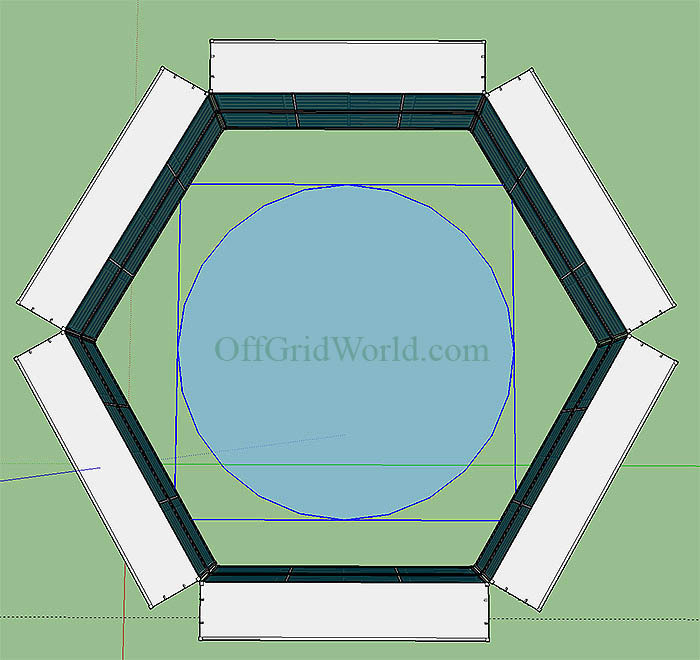 Solar Powered Aquaponics Greenhouse Makes Year Round Growing Possible – Here’s another off grid living original design concept by Eric Wichman. It’s a modular aquaponics greenhouse made from converted recycled shipping containers. Each of the shipping containers are converted into mini-greenhouses which also makes the whole thing portable. WAIT! Why use shipping containers!? If you’re going to remove the sides and ends, thereby removing a good portion of the structural support, then why not just build a steel frame from scratch? 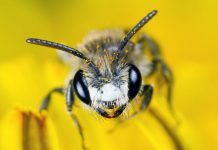 Detailed Answer: It’s cost prohibitive to try to build a steel frame from scratch because you have to pay for labor, steel, and all the equipment to manufacture each steel module. 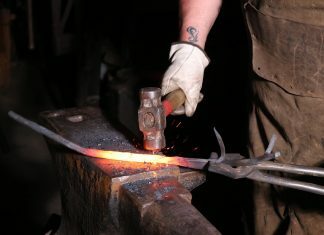 Steel is beams and tubing is not cheap, and a good professional welder will cost $25-$50/hour in labor. Not to mention permitting and licensing, insurance, etc. Shipping Containers are Inexpensive: Shipping containers are about $1500-$2000 when you by direct in bulk 10-20 units at a time. If you were to try to build a shipping container from scratch, from the ground up, you’d need millions of dollars in equipment and lots of skilled professional labor which is also very expensive. 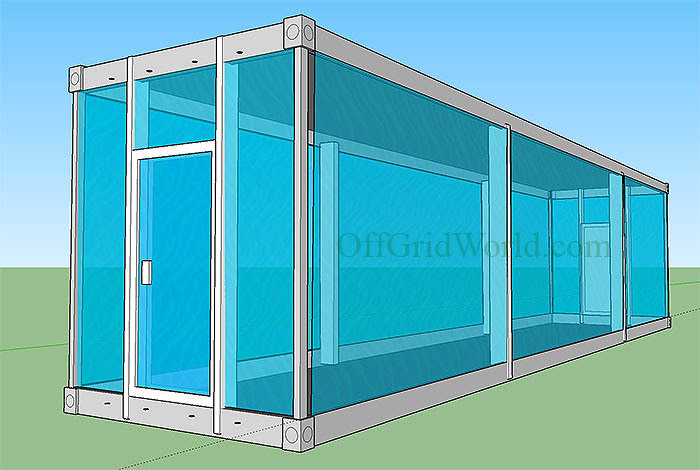 Steel is Recyclable: The steel alone to build just ONE 40′ high cube shipping container would cost more than $4000. Plus, you can recycle the corrugated sides you remove by selling them to scrap yards, thereby reducing the cost of each shipping container by more than $750 each! When you remove the corrugated sides and the ends, you’re removing about 75% of the total weight, or about 6581lbs. That’s over 3 tons of steel. They’re Already Made: Buying used shipping containers is much more cost efficient because they’re already made. There is no manufacturing cost. 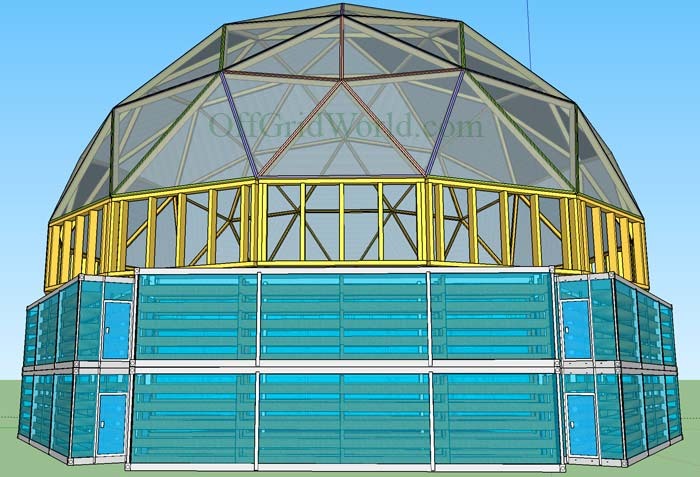 The only expense is labor cost and that is the cutting away of the sides, installing the greenhouse panels, and stacking them with a rental crane. Deployability & Portability: Shipping containers are made to to ship. 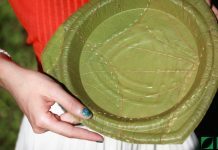 They fit on semi truck trailers, trains, and cargo ships. The design is such that they fit onto these transport modes without having to retrofit anything. Using the frame of the shipping container makes sense because it’s already made to ship using current worldwide standard transport infrastructure. Plus you can save over $750 when you recycle the leftover scrap steel. It would cost much more to try to build one from scratch yourself. 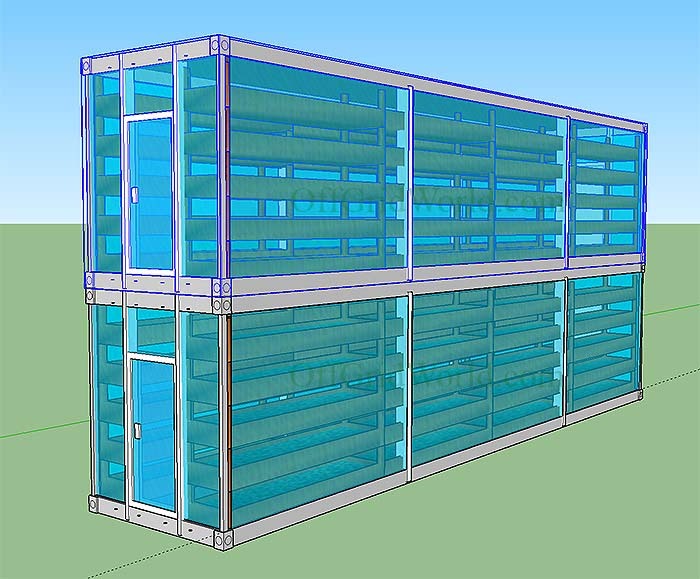 Then we add the transparent polycarbonate greenhouse side panels turning the shipping container into a greenhouse. 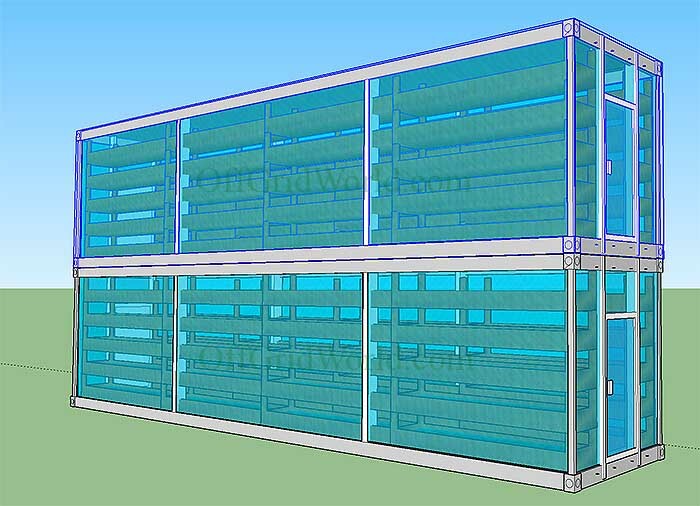 NOTE: For this build the panels are made from twin walled (for insulation) clear 16mm polycarbonate sheets. Each sheet is 48″ wide and 9′ long. (price per sheet is about $150 shipped). 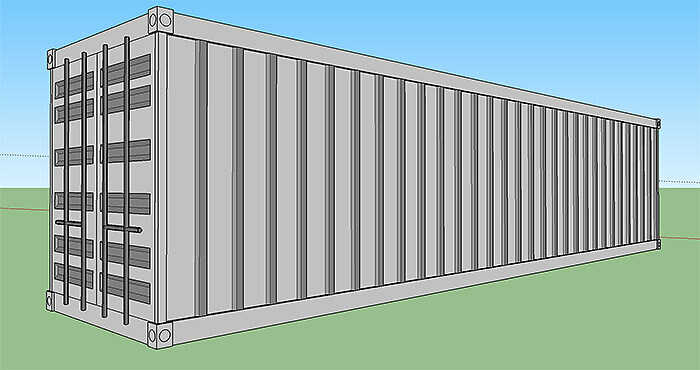 The container is almost 9 feet tall and 40 feet long, so we need 20 panels to cover the sides (10 panels on each side) and 4 panels (2 panels on either end) to cover the ends of the container. Plus each end has a door (for safety reasons and for ease of placing stairs for access). Note: It’s possible to use thin roll plastic sheeting, but it won’t last very long and there will be constant maintenance. The aquaponics system is added BEFORE the outside panels are placed for ease of construction, however for this article the photos show the module without aquaponics system in place for illustrative purposes. 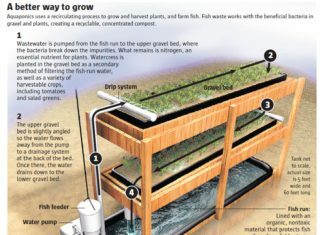 The aquaponics system shown below is an ebb and flow system, and not the one we’ll be using, however it illustrates how a simple aquaponics system works. 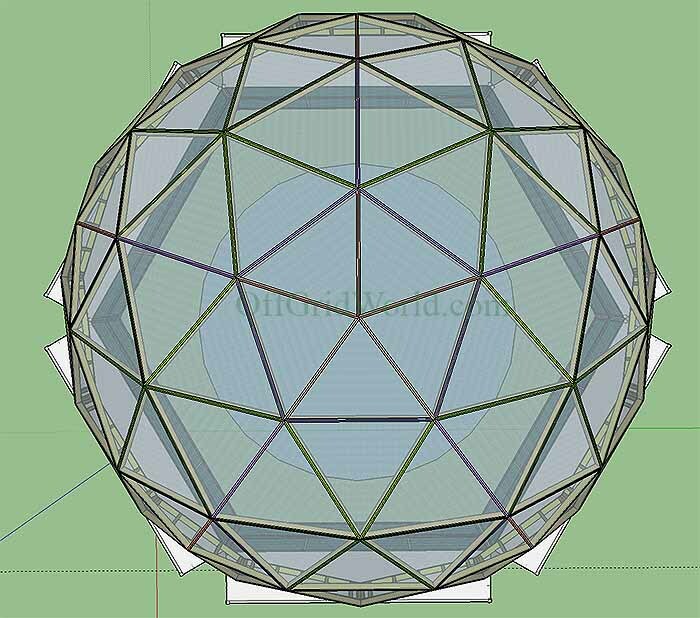 Next we build the aquaponics system inside the container. This is the simple system we’ll be building inside the greenhouse module. 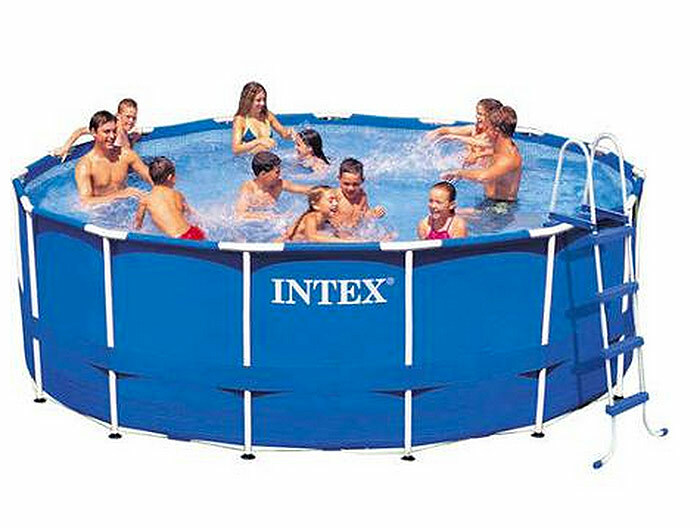 In this photo the tank is not illustrated because these modules are stackable, and the weight of the water would be too much for this unit the handle. 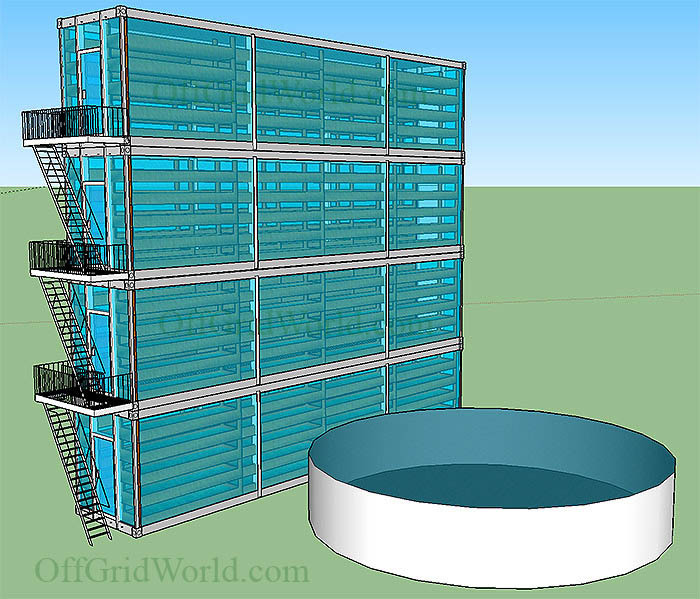 You’re probably asking yourself… “Where’s the water?” The water is stored outside the modules, in a large tank. 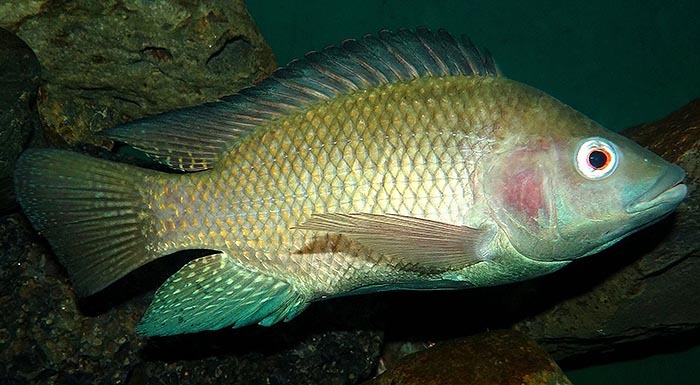 Tilapia is the fish of choice because they grow fast and the meat is appealing to the largest number of people. 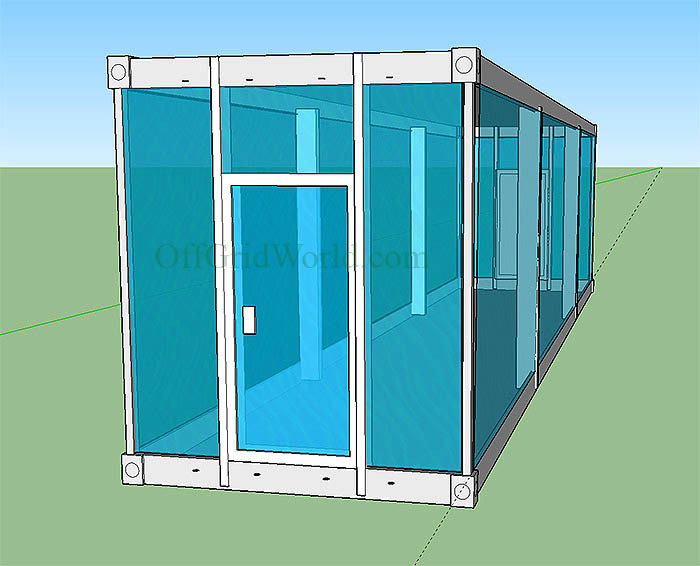 Each of the shipping container greenhouses has the ability to be a stand-alone unit, and are also modular in construction. 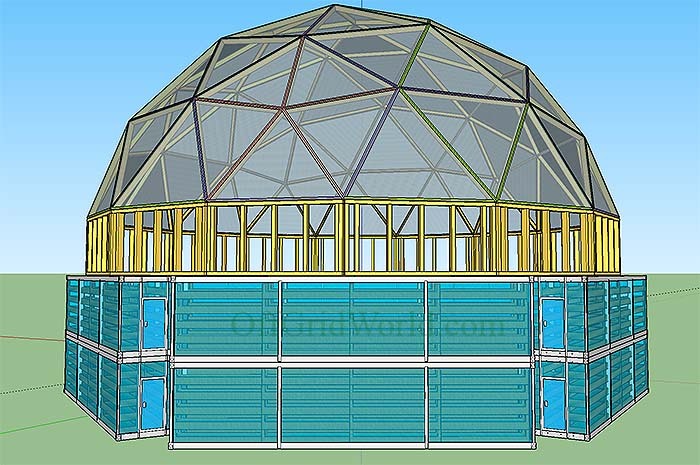 Meaning you can add multiple individual modules to construct as big a greenhouse as you need. Or just use a single unit and grow your own food in your backyard. Since it’s not a permanent structure fixed to the ground, when you move to a new location you can take it with you. 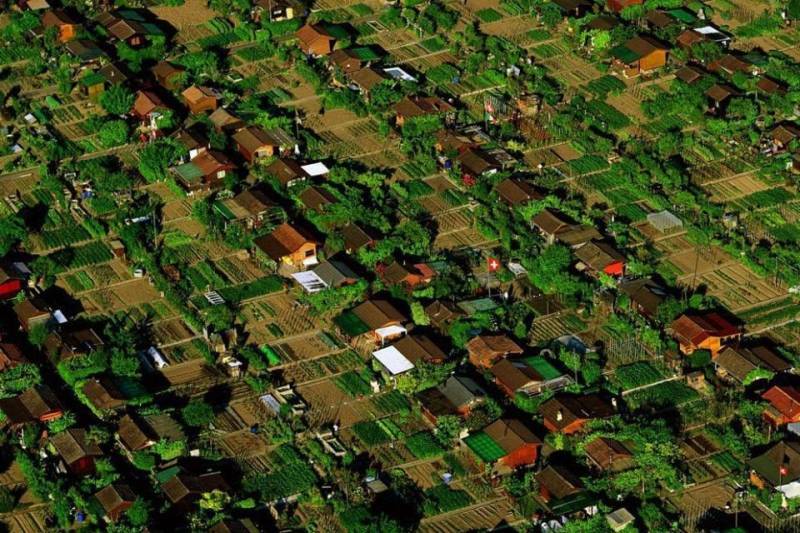 It also has urban farming applications where space inside cities is limited and at a premium. 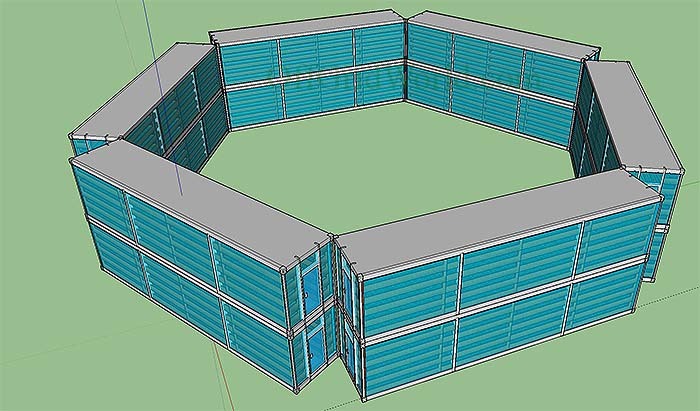 You can use them as single level units in parks or small city lots or you can stack these units just like you do any shipping container, up to 5 high creating a vertical farm. A vertical farm is just what it sounds like. It’s a multi-level building which houses a farm inside. Because each module can operate as a stand-alone unit it makes growing your farm easier. Just add modules as your farm grows. Shipping containers are designed to ship large amounts of cargo, goods and supplies. They are designed to fit on the back of a truck, on a train car, and in a ship’s cargo hold and stacked on deck. The infrastructure is already in place to ship these units anywhere in the world at a moments notice. Natural disasters and political upheaval happens all over the world all the time. As such, the most important life sustaining necessities become even more important. Shelter, water and food are the building blocks of human life, of all life for that matter. When natural disasters such as earthquakes, typhoons, hurricanes, floods, and wars happen, Many thousands or hundreds of thousands of people in these areas are completely devastated. They have no access to shelter to live in or protect them from the elements, no clean water to drink, and no food to eat. This sets up the conditions for famine, starvation, disease and sickness. 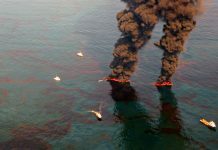 Thousands of people die every single year from preventable diseases and circumstances forced upon them by these events. 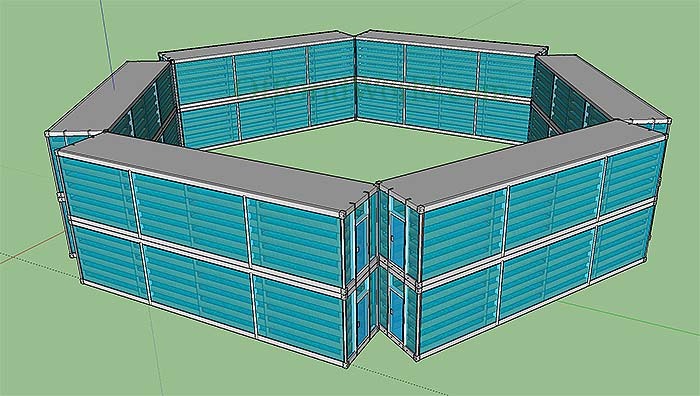 These modular units are designed not only to simply grow food, but they can be shipped worldwide to areas devastated by disaster. 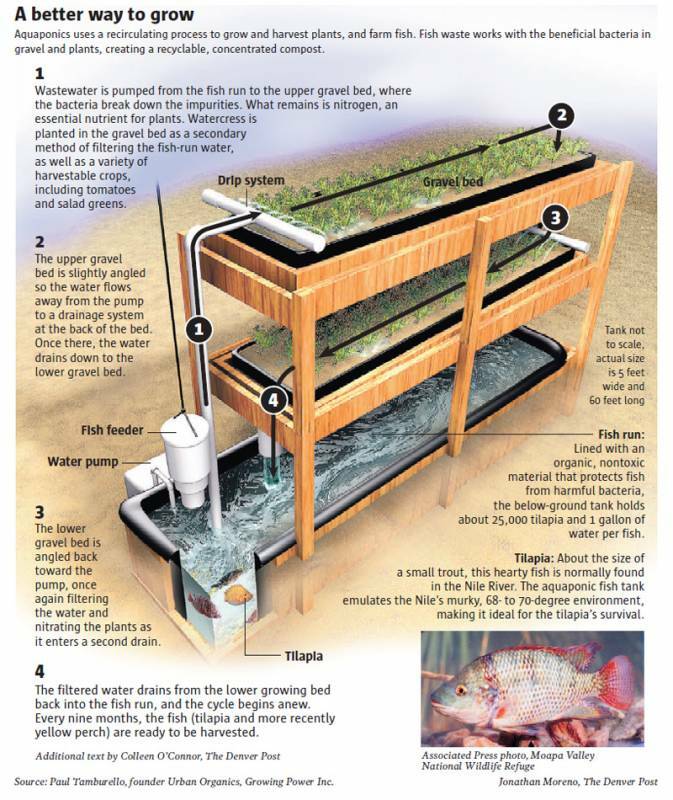 Aquaponics is a closed loop gardening system which combines aquaculture (the raising of fish) with crop farming. 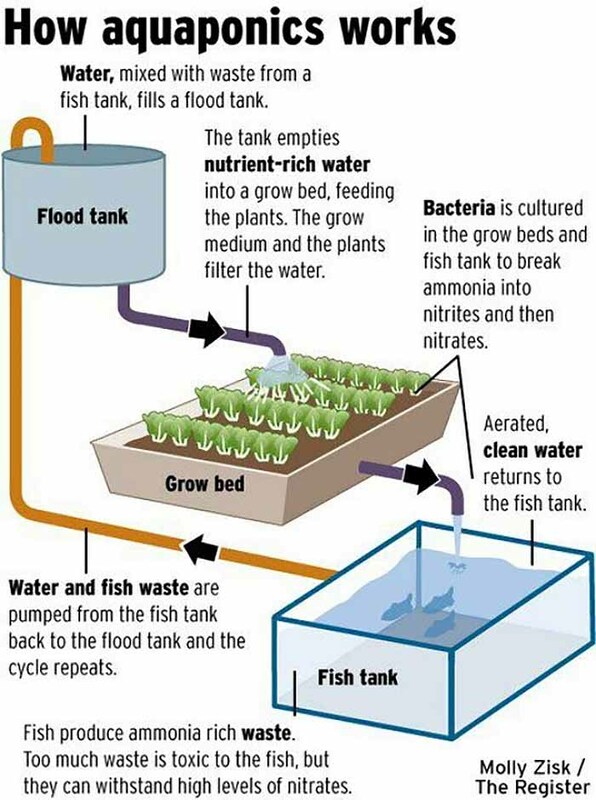 Utilizing nutrient rich water from the fish tank to water and feed the crops grown in system. 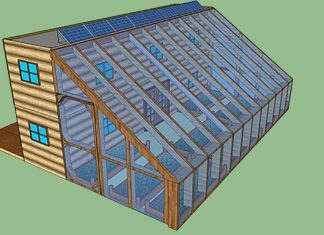 If you own your own small farm business, are a member of a CSA (Community Supported Agriculture), farming co-op, a local community garden, urban farm, or any other agricultural membership or business, this growing system has the ability to produce organically grown food, fruits and vegetables year round. This allows multiple annual harvests and increases crop yield adding to your bottom line. When all other farms and produce suppliers are closed down for the winter, this unit will still produce food year round. Return on investment of course depends on how many units you purchase. 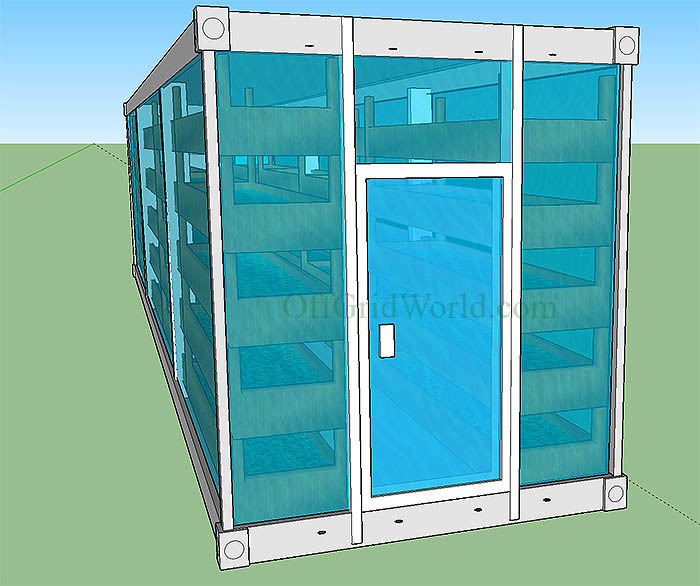 Each module operates both as a stand-alone growing system or a modular scalable portable farm. 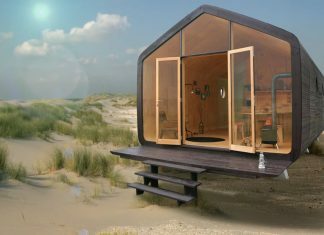 It’s powered by the sun via solar panels and a simple battery storage system. The water supply comes from the fish tank and is pumped via a single energy efficient water pump. Little to no water filtration is needed since the crops you grow act as a built in closed loop symbiotic water filtration. Nutrients rich water. In aquaponics growing systems the waste from the fish is utilized. This nutrient rich water is pumped to the top of the unit thereby feeding the plants. The water then flows through each consecutive level in the growing system, and is then pumped back into the water storage tank which doubles as the fish tank. 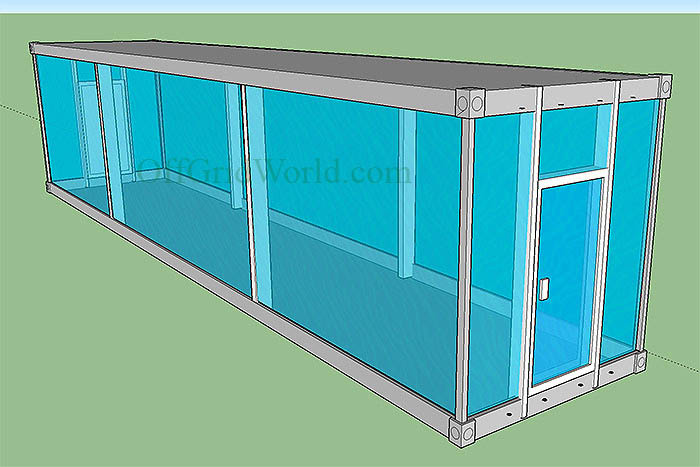 The unit pictured has the fish tank on the outside of the module, however this is not needed if you want to raise fewer fish. 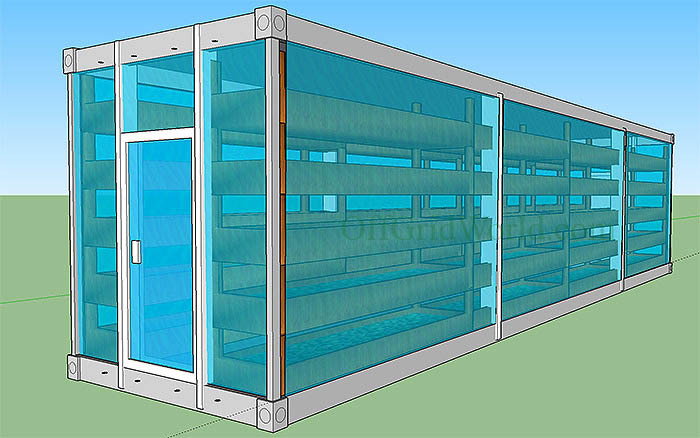 One can easily convert the lower level growing tray into a 40′ long x 3′ wide x 2′ tall tank. WEIGHT CAPACITY WARNING: Shipping containers are not designed to support that kind of weight! At 40x3x2 foot tank is approximately 2115 gallons of water. Multiply that by 2 since there are two lower level tanks, and that’s 4230 gallons of water. Each gallon of water weighs approximately 8 pounds. That means the total weight when filled with water is 33,840 pounds. This weight does not include the aquaponic growing structure itself, only the tanks filled with water. This is why the fish tank is on the outside of the unit. 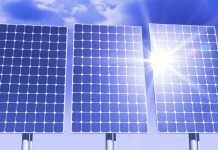 It allows you to keep the water separate from the modules, thereby reducing the total weight of each module, allowing them to be stacked. Each module is reinforced with welded steel beams. 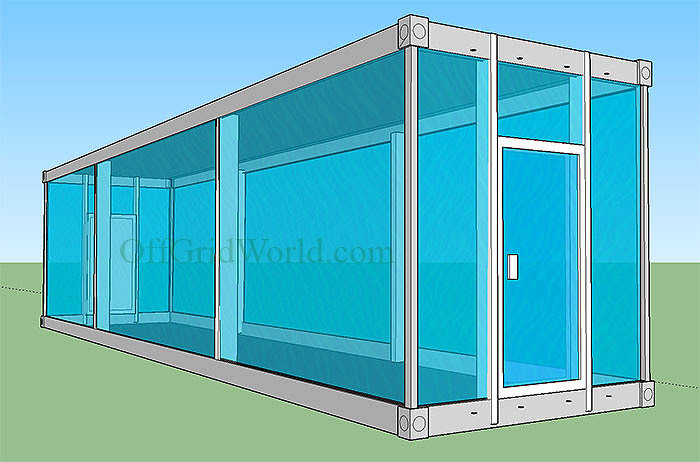 When you remove the sides and ends of the shipping container, you also remove a good portion of the structural support. This structural support must be replaced and reinforced with steel beams to support the weight inside each module, plus the weight of each module stacked on top of the lower units. The unit on the bottom of course supports all of the weight from all modules above it. 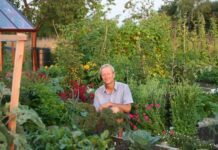 This system is obviously taken to an extreme to illustrate what can be accomplished with simple off-the-self products and materials used in practical and innovative ways. Editor’s Note: This is a design concept and not an actual product. The design is open sourced and licensed under a Creative Commons Share & Share Alike license.